DAVID LE/Staff photo. 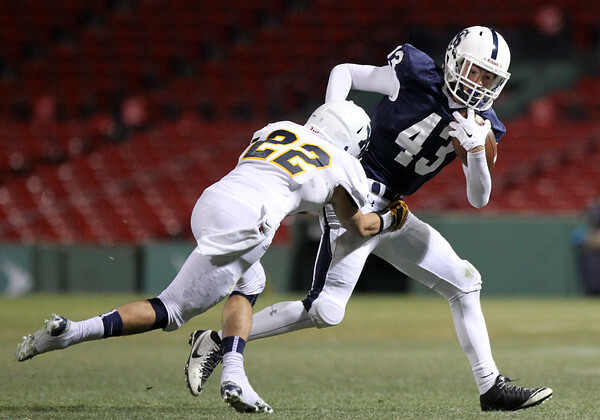 St. John's Prep sophomore Mike Yarin (43) tries to avoid Xaverian's Peter Thorbahn (22). 11/25/15.